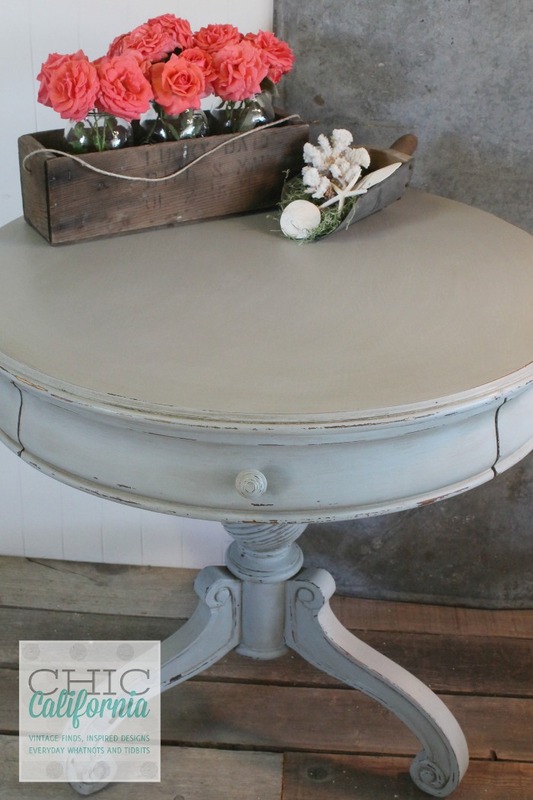 I found this cute little pedestal table on Craigslist recently and it was just screamin’ for a makeover. I know some of you will think it looks great as is, but it did have some wear and tear on it. 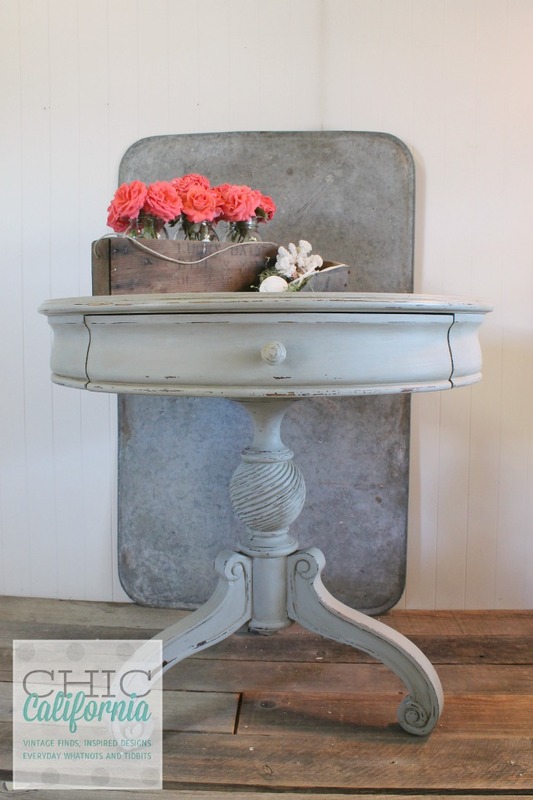 I decided this was the perfect piece to use my new Sweet Pickin’s Milk Paint in Galvanized. 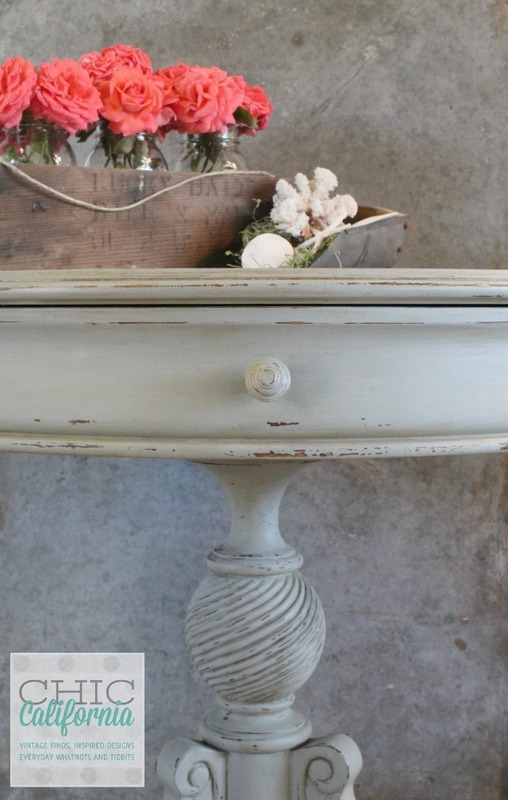 There are 2 basic looks you can get with Milk Paint. Chippy or not chippy. I opted for not chippy on this one but because the finish on this piece was pretty slick I knew I would need a little assistance from this great product….. Extra Bond. 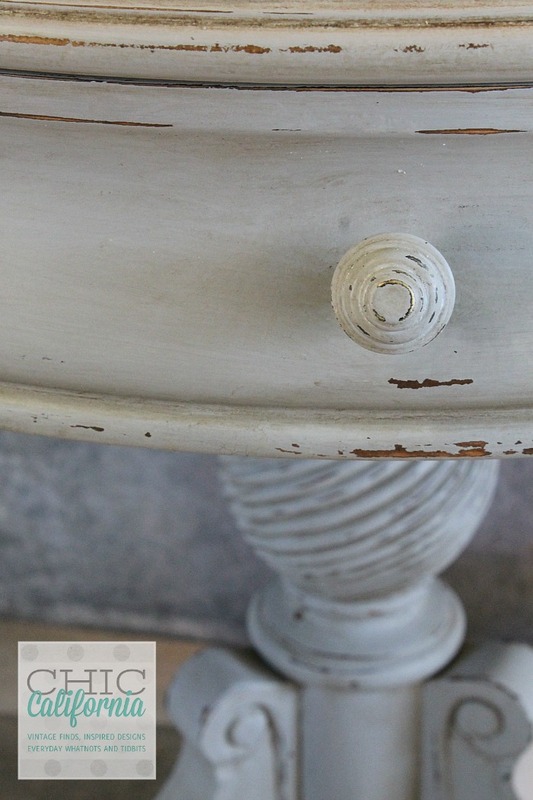 If you haven’t read my my Milk Paint 101 tutorial you can check that out here. 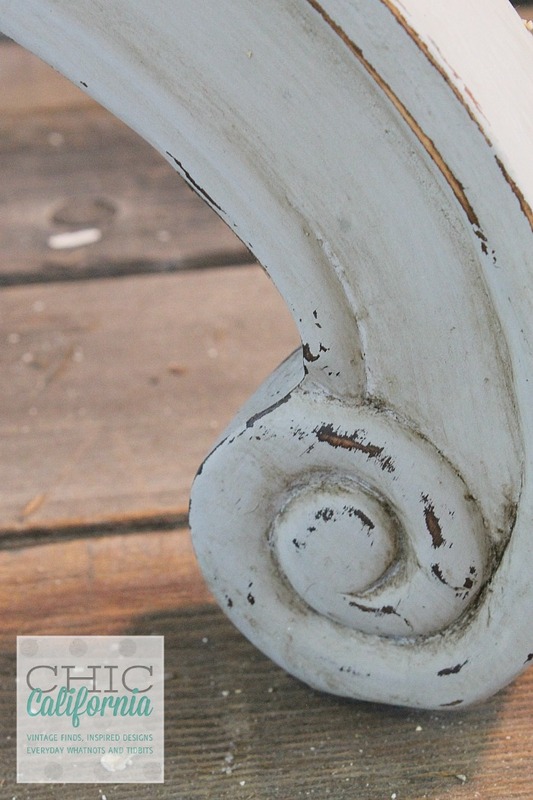 I’m calling this tutorial Milk Paint 101 1/2 ’cause we are still in the basics department here. Think of it as a bonus lesson! 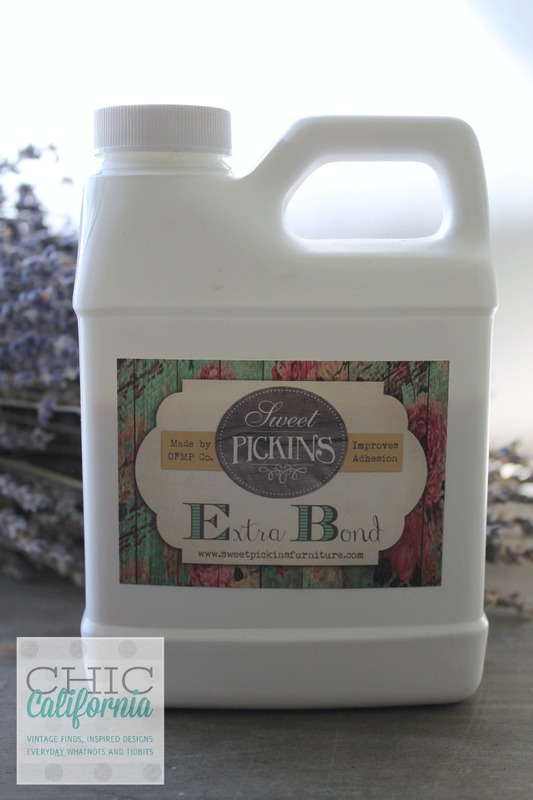 Extra Bond is a great product to have on hand when you are using Milk Paint because it gives your paint the ability to stick to non porous surfaces. 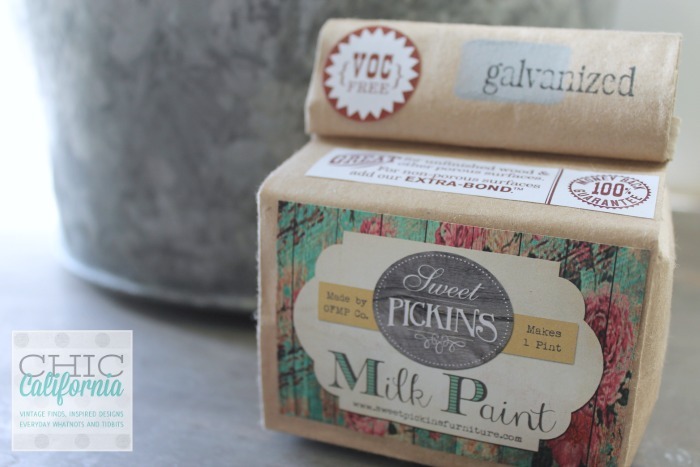 You can add it to Milk Paint when you want to paint glass or metal or a previously painted item that you don’t want to see the previously painted color. 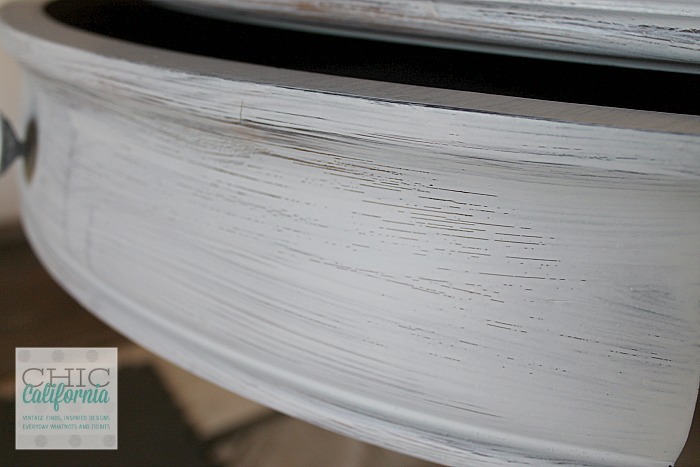 This is what it looks like after the first coat of Galvanized with Extra Bond. The directions on the Extra Bond say to wait 2 hours to paint your next coat of paint. 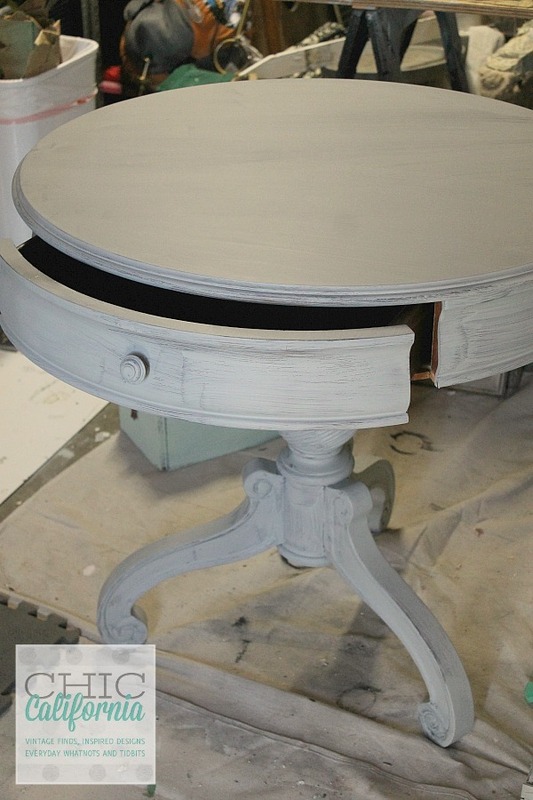 Using the next coat of paint too soon can reactivate the first coat of Milk Paint. 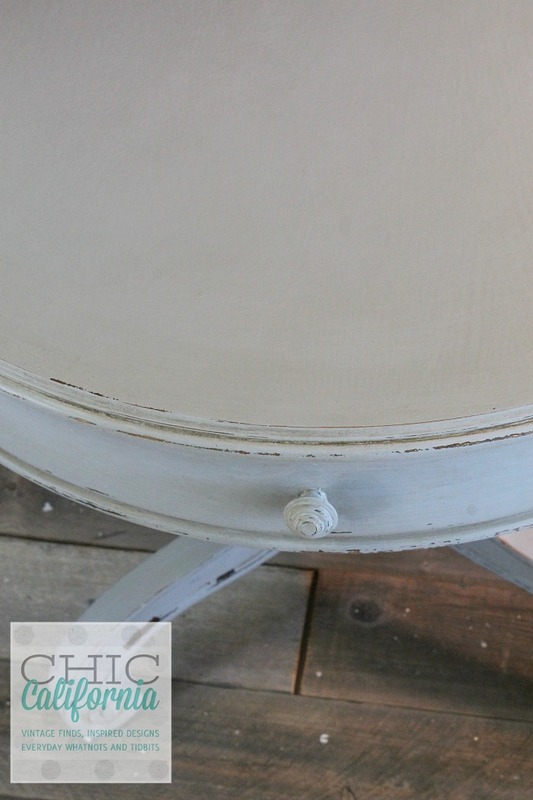 And then you get Chippy Milk Paint. But I have to tell you I have never had this problem. Maybe because I live in a dry climate my paint dries fast. If you live in an area with high humidity, better play it safe and wait the 2 hours. The result is a smooth coat of paint. I sanded this piece after painting 2 coats of Galvanized. And then I distressed it around the edges. I finished this off with a coat of Clear Supreme Soft Wax and Jacobean Supreme Soft Wax in the details and I buffed it to a soft sheen. I kind of figured this table would go quickly once I brought it to my retail space. It didn’t make it through the weekend. It was sold to a new home and I hope they enjoy it! 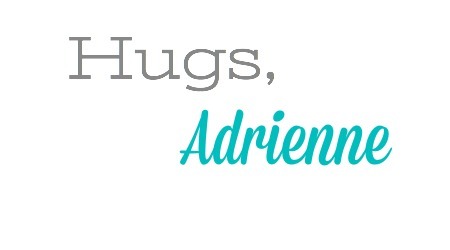 I just found your blog and I absolutely love it!! I used to do so much DIY stuff and now life gets in the way and I just cook. I need to get back into doing projects…maybe your site will give me inspiration! I love what you did with this table! I’m going to be sharing your FB page on mine later on this week! Thank you so much for the great compliment and the share! I will share your page as well 🙂 Thanks for stopping by! What a beautiful makeover! 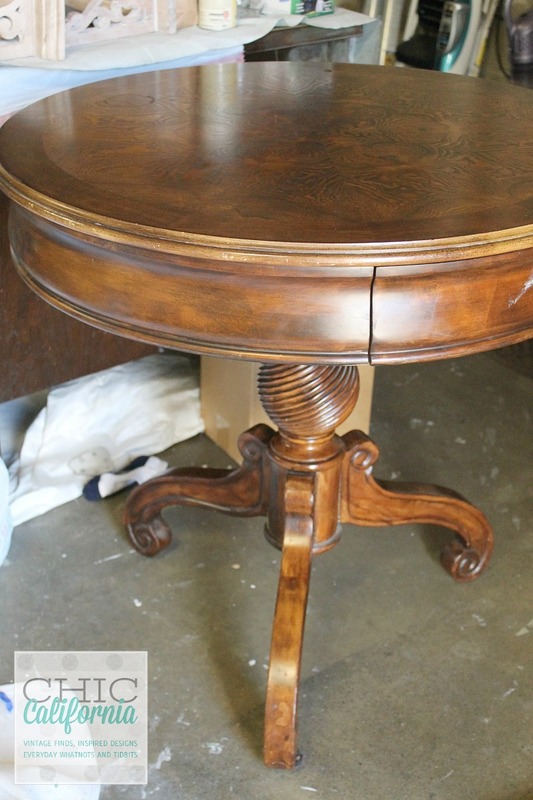 I have a very similar table that is badly scratched on the top and needs refinishing – I’m so inspired by what you did with yours!